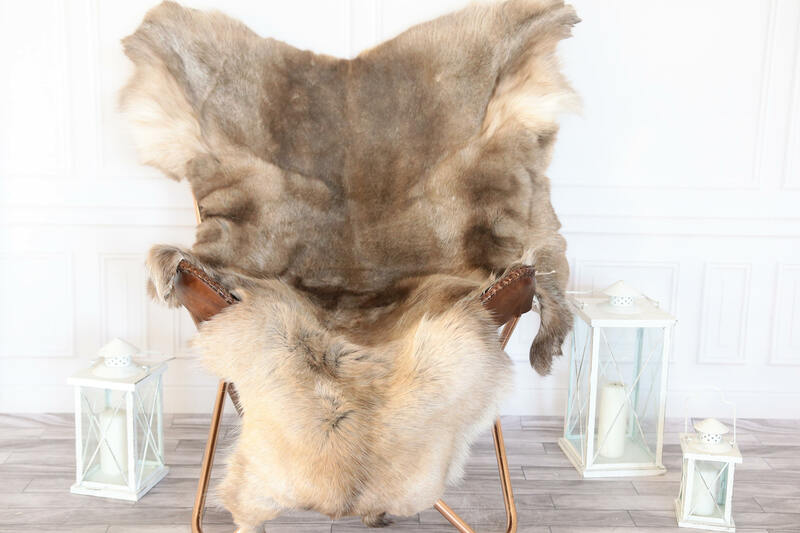 OUR REINDEER SKINS AND SHEEPSKINS ARE HAND MADE, CREATED BY ENVIRONMENTALLY FRIENDLY PROCESS. 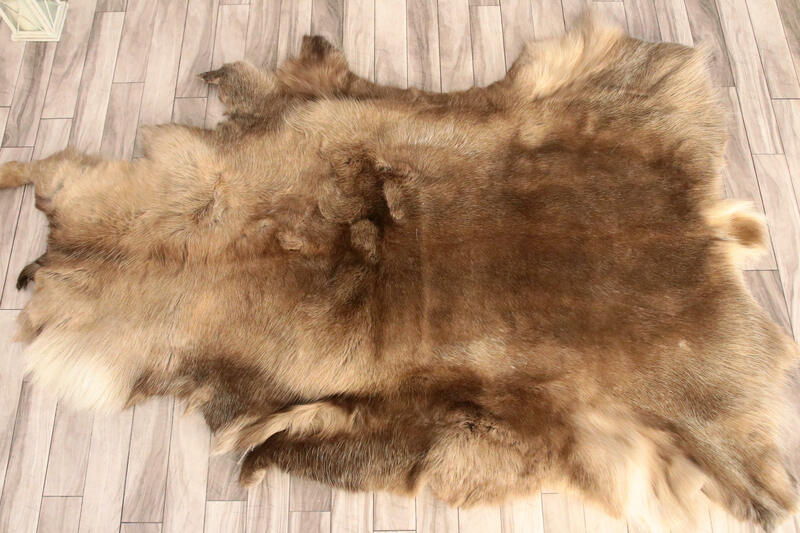 This Exclusive unique reindeer hide is the product of Finland, Each Reindeer skin has unusual markings and super soft fur. Can be used for multiple purposes. 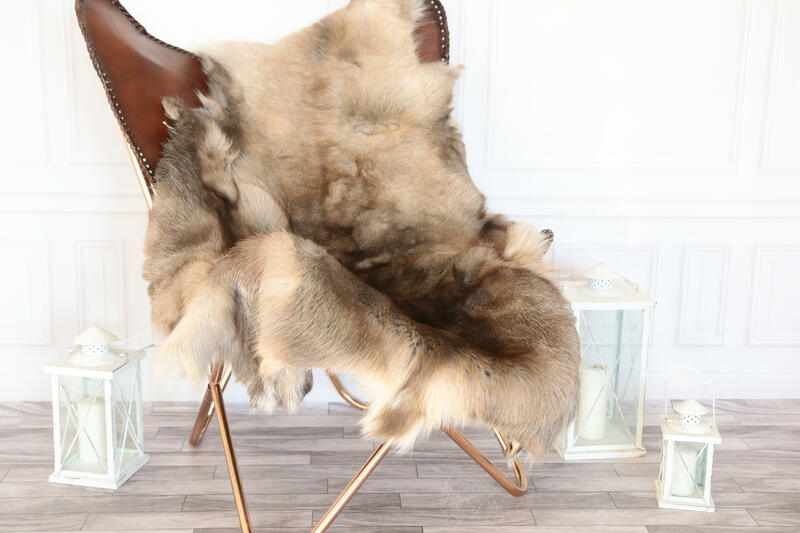 Our unique rugs makes a beautiful gift for yourself, your family or friend. 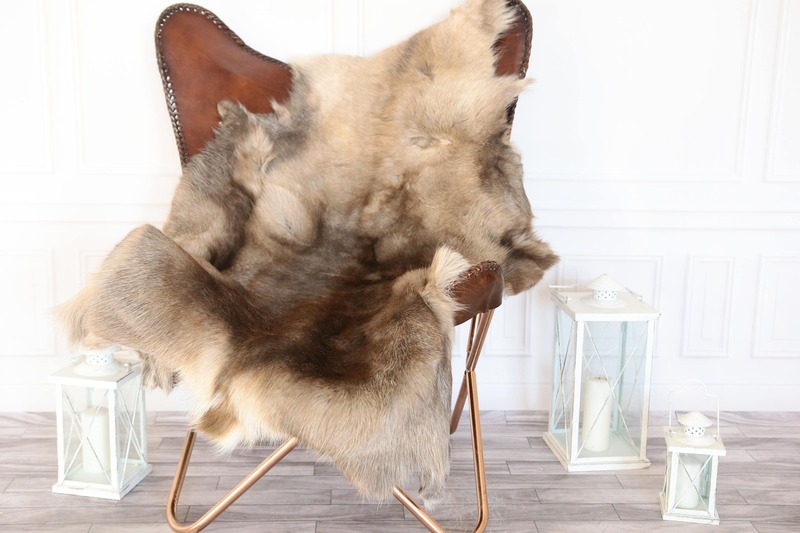 Natural rugs will make your place looks more exclusive and very cozy.